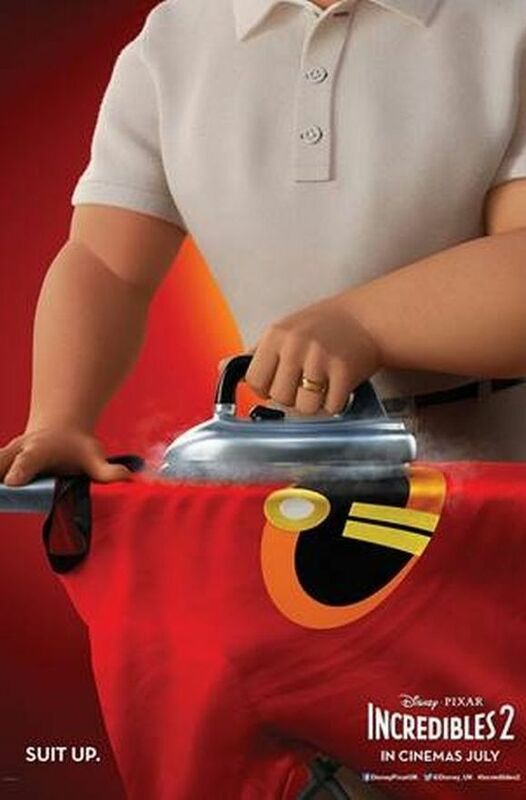 It’s been 14 years since the first Incredibles film hit another home run during Pixar’s first classic period of superb releases and now Incredibles 2 is on the scene. In a time before the juggernaut that is the Marvel Cinematic Universe came onto the scene this modern classic mixed timeless sensibilities with family adventure in a way that only Pixar could do at the time. The Incredibles (2004) explored a world where Superheroes had been made illegal and were in a kind of witness protection program where they had to maintain a low profile because of the carnage that they caused while fighting super villains. And this is all years before Captain America: Civil War (2016) came onto the scene. Starting moments after the end of the original Incredibles, this sequel finishes off the action sequence teased at the end of the original film, bringing the Incredible family (the Parrs – Bob, Helen, Dash, Violet, and Jack-Jack) out of hiding in a spectacular fashion. The new film is about a brother and sister – Winston and Evelyn Deaver – who want to help superheroes rejoin society legally. They suggest using Helen Parr (Elastigirl, played by Holy Hunter) as an acceptable face of superheroes – to make them legal again by defeating villains while causing a bit less collateral damage. Elastigirl is initially successful in changing public perception of superheroes, after a few action sequences, with a view to changing the law but there’s another super-villain to defeat – one that’s particularly cunning and dangerous. Incredibles 2 explores the notion of female superheroes, stay-at-home dads, and the gadgets that Mr Incredible and Elastigirl used before their family came along. While there’s good visual gags and jokes, the film may be a little long for some but rattles along at pace, and it was easy to see that younger members of the audience enjoyed the outing thoroughly. The world of the Incredibles continues to be rendered in a beautiful timeless style, with classic looking vehicles side by side with mobile technology and futuristic magnetic trains and while the plot is a little less special compared to first time round it’s still a very good film in itself. The star of the show this time around is undoubtedly the youngest member of the Parr family – baby Jack-Jack whose little skits with unwanted visitors are hilarious while Bob (Mr Incredible, played by Craig T. Nelson) is exhausted just looking after him, helping son Dash with his maths homework, and trying to sort out daughter Violet’s school problems. All this while Helen is out being the main breadwinner while superhero costume designer Edna Mode from the first film has a brief cameo. Mode is played again by director Brad Bird – and Bird definitely knows his way around classic Pixar animated films – his touch has made Incredibles 2 a good sequel well worth seeing even if it doesn’t quite reach the heights of the original which was a trailblazer for superhero films to come. The short film shown before the main feature, Bao, also held the attention of the young audience while parents could easily identify with the emotional themes put out by this. I liked it a lot. Summary: INCREDIBLES 2 is an animated adventure in which a family of super heroes face a new foe. Included before the film is BAO, a silent short animation about a woman whose dumpling comes to life. This entry was posted in Shooting The Breeze and tagged Incredibles 2. Bookmark the permalink.